VH MFG., Inc., is the manufacturer of Polytin™ which is a plastic corn head replacement for existing steel inner and outer gathers for all makes of corn and bean heads. At VH MFG., Inc., our goal is to manufacture quality replacement parts that meet or exceed original equipment specifications. 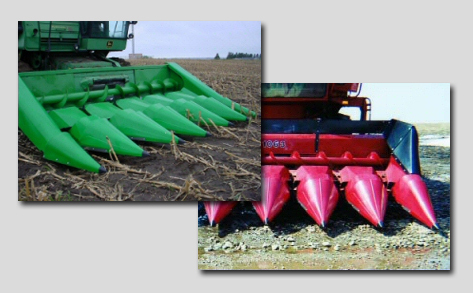 VH MFG., Inc., manufactures Iowa Brand™ new replacement Combines parts, Corn Heads parts and Grain Heads parts. We have a large selection of concaves, corn head parts, Ausherman & OEM raspbars, JD stalk rolls, IH rotor blades, feeder house rollers and floors, auger tubes, augers, auger trough liners, poly skid shoe kits, deck plates, and much more for a variety of makes and models. VH MFG., Inc., has the answer to all of your new replacement agricultural equipment parts needs.